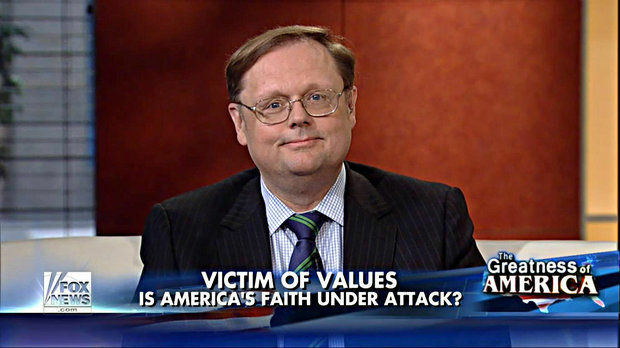 On his Fox News Radio program yesterday, right-wing commentator Todd Starnes blamed “culture jihadists” for the March for Our Lives rallies for gun reform over the weekend and his guest David Benham claimed “the radical left” had “hijacked” the message of teenage anti-gun-violence activists. David and Jason Benham gave Starnes their standard stump speech about how they lost a planned show on HGTV after Right Wing Watch reported on their history of extreme anti-LGBTQ activism and thanked Starnes for sticking up for them at the time. He went on to point out the lack of “anti-truck demonstrations” and “anti-knife rallies” after truck and knife attacks. “I’ve yet to see an AR-15 on death row serving a sentence for killing somebody,” Jason Benham added.